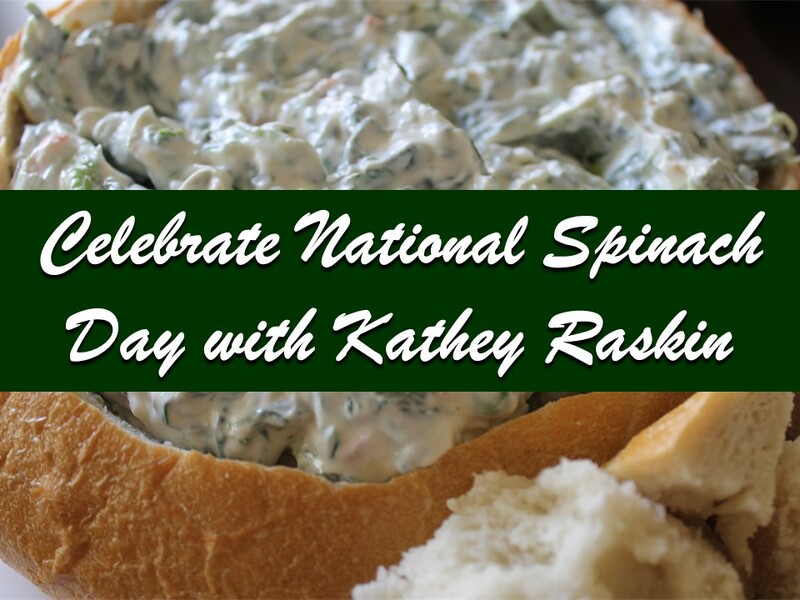 I’m Kathleen Raskin of Las Vegas, and I’d like to welcome you into my kitchen to enjoy a bread bowl filled with the most delicious spinach artichoke dip you’ve ever experienced. This is a real crowd favorite, and it’ll quickly become one of your go-to favorites as well because this dip is so easy to make. Don’t serve your guests store-bought when this version will have them coming back for more, and maybe asking to be invited to more of your parties! You can make this dip a day ahead of time. Just be sure to bring it to room temperature before you bake it. Heat it up for 30-60 minutes in a low oven. You can also microwave any leftovers you have and enjoy them the next day. Don’t get too attached to this idea though, as there’s rarely any left! There’s nothing wrong with using frozen spinach in this recipe as long as you make sure to squeeze it out thoroughly, as frozen holds a lot of liquid. When I have the time, I prefer to use fresh. You can do so by steaming the spinach then blanching it in ice water. Afterward, as you would with frozen, squeeze out the excess liquid. Then you’re ready to chop the spinach and remove the stems. Preheat your oven to 350 degrees, then spray a small baking dish with non-stick spray. While the oven heats, whip the cream cheese using a beater to make it light and fluffy. Mix the ingredients together, place in the dish, then bake until it’s melty and lightly browned on top. I recommend serving in a large bread bowl. Save the bread you’ve hollowed-out and cube it, then toast it lightly so your guests can use it to dip. Sautéed spinach and garlic is a simple and healthy favorite. This steakhouse creamed spinach recipe is rich and delicious.